After weeks of posting live feeds of small ‘movement portraits’ onto Bambuser we finally began to pull from these small choreographies, creating longer phrases of solos and duets. These were then taught to MYCD, and through this process developing the choreography once again into new phrases. 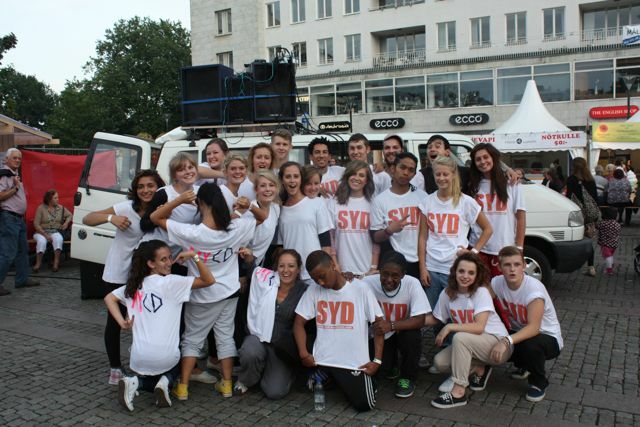 When MYCD meet with SYD in August they will in turn teach them the choreographies that they helped to develop. We realize more and more that the Nya Folkdansen is an on going process, and its choreography an ever evolving element, once we take it outdoors at Malmöfestivalen it is sure to develop again, and it proposes us with a question: Is the new folk-dance something that should forever change, never to remain the same, as people are never themselves caught in a stagnant place? 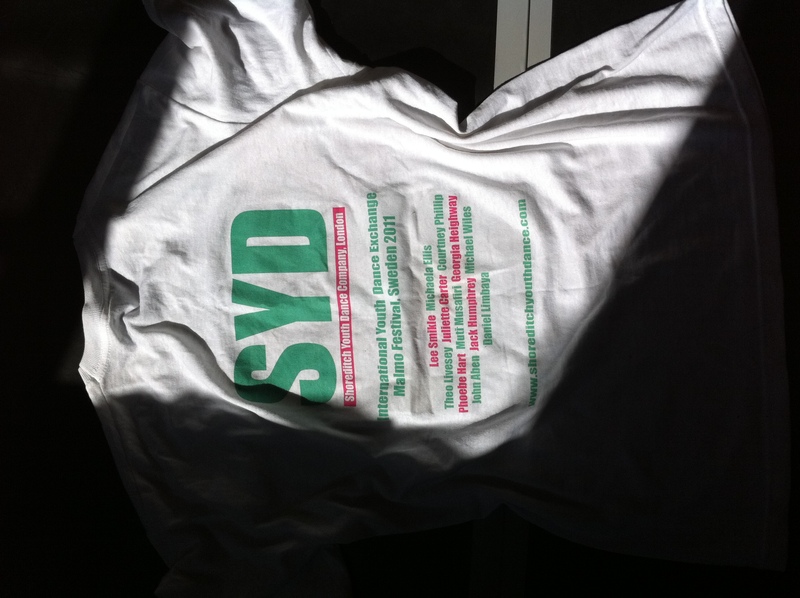 When MYCD perform again in November at Scenekonst Festivalen this same work we will know the answer for certain. It was a very intense week and MYCD members worked very hard, Emma and I are both very proud and full of admiration for these young and talented creators of art! BRAVO MYCD! THE BLOBS HAVE COME A LONG WAY! You may recall them from last year as faceless and black, well, now they are like chewing gum and flesh, truly sculptural beings pulsing in consistency! You’ll see here that they are also made of children’s play clay! Whatever next? Well, we don’t know, but isn’t that the point? We like to keep you (and ourselves) forever in suspense!